36,000 Miles! 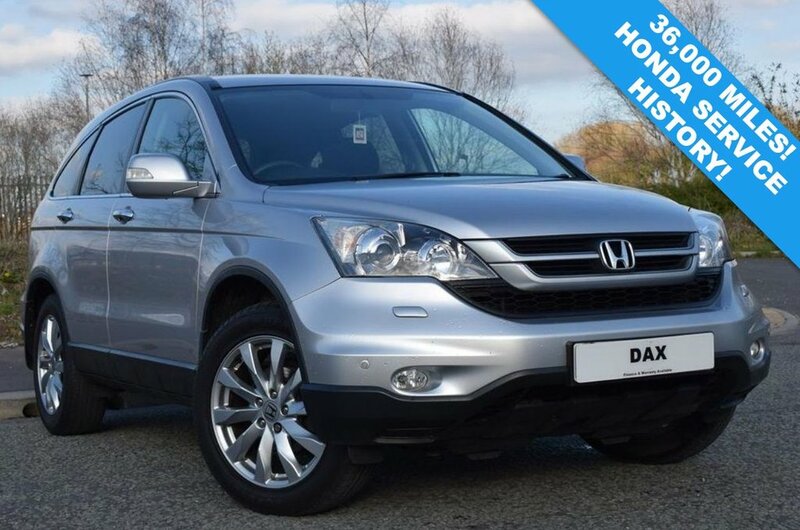 We Are Delighted to Offer This Fantastic Low Mileage Honda CR-V 2.0 I VTEC ES Presented in Metallic Silver and Backed Up With 2 Keys and Honda Main Dealer Service History. This is a Superb Example With Just 36,000 Miles From New. The Car is in Fantastic Order Throughout and Comes Supplied With a Fresh Service and 12 Months MOT, As Well As 12 Months Nationwide Parts and Labour Warranty Giving the New Owner Complete Peace of Mind in this Fantastic 4 Wheel Drive SUV. SPECIFICATION INCLUDES: HEATED SEATS, CRUISE CONTROL, FRONT AND REAR PARK SENSORS, DUAL CLIMATE CONTROL, ELECTRIC FOLDING MIRRORS, RADIO CD AUX, HALF LEATHER HALF ALCANTARA INTERIOR, CUP HOLDERS, 6 SPEED MANUAL, HEATED MIRRORS, 18 INCH ALLOYS AND MORE!